Eight years ago, Anne Elliot broke off her engagement to the dashing young naval officer Frederick Wentworth on the advice of a friend. Now twenty-seven and considered a faded beauty, she is resigned to a spinster’s life when she learns that Wentworth, now a captain and wealthy with prize money from the Napoleonic Wars, has returned. While Anne visits her married younger sister Mary, Wentworth pays frequent calls on Mary’s two charming sisters-in-law. Although Anne tries to avoid him she cannot, and although she knows he has not forgiven her, his presence is a constant reminder of what she has lost. 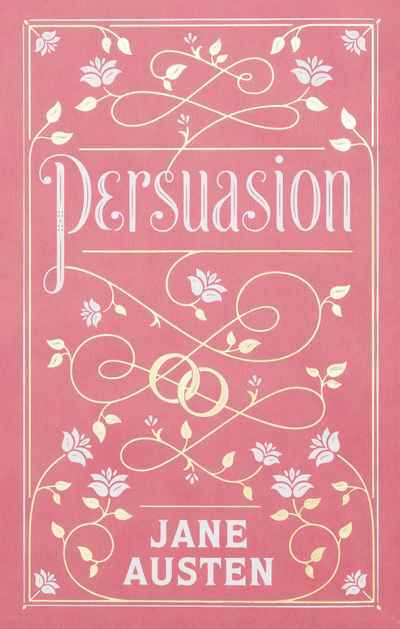 Published posthumously in 1818, Persuasion is both a delightful romantic comedy and an insightful exploration of our need to persuade, and be persuaded, by others. This volume is one of Barnes & Noble's Collectible Editions classics. Each volume features authoritative texts by the world's greatest authors in an exquisitely designed foil-stamped binding, with distinctive coloured edging and an attractive ribbon bookmark. Decorative, durable, and collectible, these books offer hours of pleasure to readers young and old and are an indispensable cornerstone for any home library.